When I opened my inbox the other day to find this engagement shoot in my inbox, I was so excited! This e-shoot has two sides, a sweet daytime session shot at Tree Tops Park in Davie, Florida, and a nighttime session at the swanky Mansion Night Club in Miami, Florida. Many props to photographer Francisca at FCN Photography, for creating a great two-sided vibe for Stephanie & Alex to have for their engagement session! I love the daytime shots, full of beautiful lighting and natural elements when juxtaposed to the opposite, yet exciting, vibe of the Miami nightclub scene! I love the vintage chair & the DJ spinning booth! Alex Miranda is CEO of The Creative Complex, a web design and marketing company in Miami. He always thrives to be out there and different, the talk of the town. He proposed to Stephanie at the finale dinner for his charity weekend fundraiser in support of Jose's Hands. Most girlfriends usually see it coming, but not with Alex, because he waited until that moment to say "I Love You" to Stephanie. When thinking about where to hold the reception they wanted something different, and oh boy was it different. 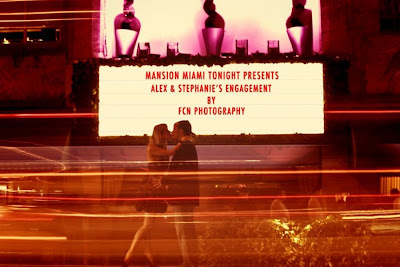 The reception was held at Mansion Nightclub in South Beach Florida. The ceilings were draped with sheer fabric and the beautiful chandeliers that already hang inside Mansion were a perfect asset. To showcase the reception venue, we decided to have the engagement session there too. The venue was ours for about an hour so we were hustling and bustling to get the magic done. After a day of shooting at Tree Tops park for a whimsical setting and then the final session at Mansion, we were able to capture their lives perfectly. Stephanie is a ballet dancer and school teacher and Alex has worked with the nightlife industry for many years, they are complete opposites but alike in so many ways. Opposites do attract in unexpected ways! Many thanks to Francisca of FCN Photography for submitting to me your work! 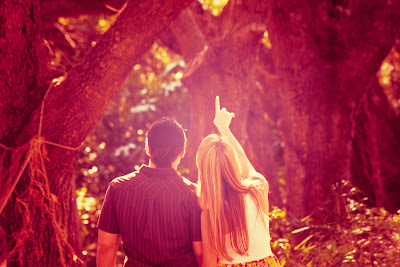 This is such a cool engagement session! So different & unique with a dash of fabulous! Love! I agree, I really love the two different vibes captured. Thanks for stopping by, Natalie! The contrast of the 2 settings is captured beautifully! Wow!!! Thank you so much for liking the session I did! =) It really was a blast! You are very welcome! 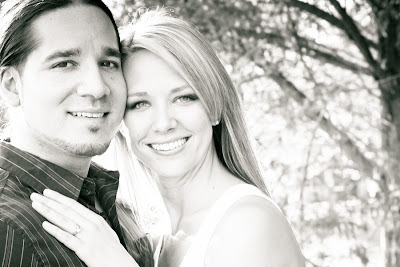 Thanks so much for submitting your photography with Savvy Deets Bridal! I look forward to following your work! Very cool with the two contrasting sessions! I love them both!